1. XarBeats - Yung Hurn Type Beat "Purple Skies"
2. XarBeats - Johnny Pepp Type Beat "Allstars"
3. XarBeats - Tyga x Rich The Kid Type Beat "Racks"
4. XarBeats - Young Thug Type Beat "Slime Language"
5. XarBeats - Gunna Type Beat "Drip or Drown"
6. 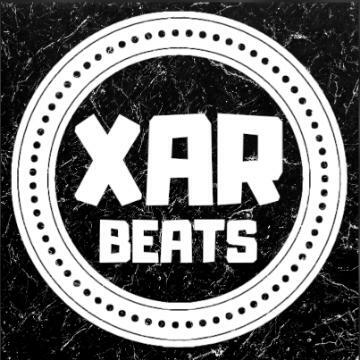 XarBeats - Tyga Club Type Beat "420"
7. XarBeats - Travis Scott Type Beat "Stargazing"
8. XarBeats - Guitar Trap Love Beat "2 am"
9. XarBeats - Juice WRLD Type Beat "Drip"
10. XarBeats - Lil Baby x Gunna x Young Thug Type Beat "YSL"
11. XarBeats - Juice WRLD x Lil Skies x Lil Mosey Type Beat" Call me"
12. XarBeats - Yung Hurn x Bryson Tiller Type Beat "Miss You"
13. XarBeats - Bryson Tiller x Eli Sostre x JCole Type Beat "Nightlife"
14. XarBeats - Yung Hurn Type Beat "Alien"
15. XarBeats - Luciano Type Beat "Number 1"
16. XarBeats - Dreamy Trap Beat "Destiny"
17. XarBeats - 6lack x Bryson Tiller x Roy Woods Type Beat "Thoughts"
18. XarBeats - SahBabii x Lil Baby Guitar Type Beat "Bounce"
19. XarBeats - Capital Bra Type Beat "Jokers Relict"
20. XarBeats - Capital Bra Type Beat "Coca"
XarBeats - Guitar Trap Love Beat "2 am"
Guitar Trap Love Beat "2 am"